Since the end of the socialist economy 35 years ago, workers in China have been regarded as a source of low-cost and compliant labor for foreign investors. But things are changing. China's minimum wages, now averaging more than $200 per month, are higher than many of its neighboring countries in Asia and continue to rise. At the same time Chinese workers themselves are changing. No longer tolerant of low wages and unfair treatment, they have begun to organize for higher wages and better treatment, sometimes engaging in strikes that involve thousands of workers. In some places this worker activism has generated new forms of labor relations, such as election of worksite union leaders and collective bargaining. These developments in labor relations could have significant implications for working people throughout the world. As the wages of Chinese workers rise and the middle class grows larger, their wage rates, buying power, and labor market institutions will undoubtedly affect the global economy. Therefore when American labor organizers consider how to strengthen their movements, building relationships with Chinese workers could play a strategic part. 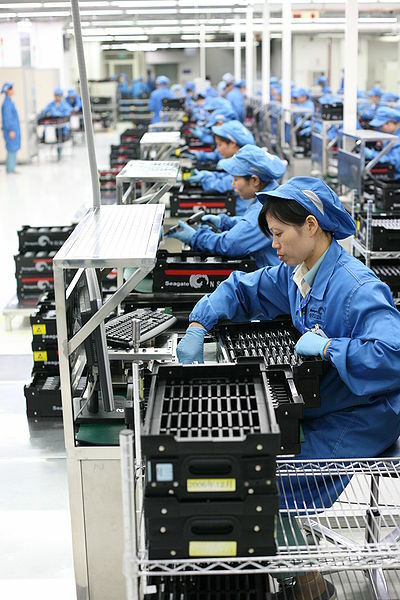 Over the past decade and more, the Labor Center has led and participated in several research and education projects that have promoted collaboration between Chinese and American workers and labor researchers. The most recent projects have been exchanges between labor sociologists, research on the apparel industry in China, and establishing the International Center for Joint Labor Research. In 2011 the Labor Center received funding for a three year project to engage labor sociologists in the U.S. and China in dialogue and exchange, with the aim of generating joint research projects and lasting institutional ties. 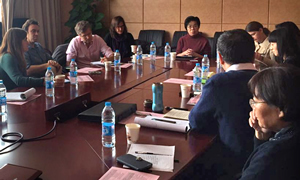 PI Katie Quan led the Labor and Labor Movements section of the American Sociological Association (LLM-ASA) and its counterpart, the Chinese Association for Work and Labor of the China Sociological Association (CAWL-CSA), in three meetings to exchange ideas and forge relationships. The first meeting took place in Beijing in December 2012, and was a small initial meeting of LLM and CAWL leaders. The second meeting took place in New York City in August 2013, and was a mini-conference at the Annual Meeting of the ASA attended by nearly 300 people. The 2013 agenda can be found here. The third meeting took place in Beijing in December 2014 at the winter meeting of CAWL, and its 2014 agenda can be downloaded here. This project was funded by the Ford Foundation. In 2010 the UC Berkeley Labor Center joined with the Institute of Political Science at Sun Yat-sen University in Guangzhou to establish the International Center for Joint Labor Research (ICJLR), the first international research center in China devoted to the study of labor issues. The purpose of the ICJLR was to engage in comparative research and educational activities related to labor in China, and to promote dialogue and exchange among international labor scholars and workers. Its co-directors were Prof. 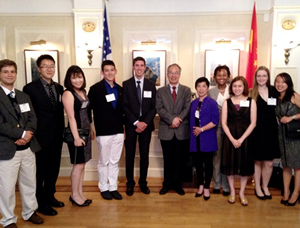 He Gaochao of Sun Yat-sen University and Katie Quan of UC Berkeley. Unfortunately in November 2014, the ICJLR was closed by Chinese authorities. No specific reasons were given for this action, as is often the case in China. Nevertheless, He Gaochao and Katie Quan will continue to contribute to the study of labor in China in whatever ways are possible. Some materials from the research and educational activities of the ICJLR will be archived on this site.